Taking a prenatal vitamin before and during pregnancy helps supplement a healthy diet for expecting mothers. During pregnancy, a baby gets its vitamins and nutrients from the mother. Therefore, it is important for mothers to get the best prenatal vitamins and minerals from their diets. Yet, only five percent of American women ages 19-30 eat the USDA recommended number of vegetables and fruits that contain these vitamins. Poor nutrition increases the role of a prenatal vitamin in supplying enough quality nutrients for a mother and child. In fact, many physicians recommend taking a prenatal vitamin before pregnancy as well. According to the CDC, taking a prenatal vitamin before and during pregnancy can reduce neural tube defects (NTDs) by up to 70%. Specifically, the report states this risk is prevented “if a woman has enough folic acid in her body at least one month before and during pregnancy“. If nutrition is this important to healthy birth what vitamins are the best prenatal vitamins for mothers to take? One of the best prenatal vitamins for a pregnant mother is folic acid. 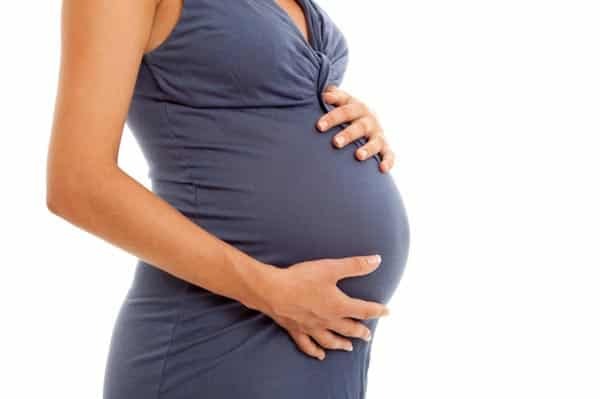 High levels of folic acid for an expecting mother help reduce birth defects of the brain and spine. On top of reducing Spina Bifida in newborns, new evidence shows folic acid helps prevent heart defects and cleft palates. The CDC and other organizations like March of Dimes recommend expecting mothers to take 400mcg of folic acid daily. Consuming foods labeled “fortified” or “enriched” in bread, cereals, or pastas contain extra b vitamins including folic acid. In addition, dark leafy vegetables and citrus fruits are great sources of folic acid. Ultimately, taking a complete multivitamin or prenatal vitamin will ensure you receive adequate amounts of folic acid. For example, Cooper Complete Original Multivitamin With Iron and Basic One Multivitamin With Iron contains 200 mcg of folic acid per serving to supplement folic acid consumed through diet. While not actually a vitamin, omega-3 fatty acids are an important nutrient for a baby physical development. Primarily, the DHA (docosahexaenoic acid) in omega-3 helps in the formation of a baby’s brain and eyes. Omega-3’s are also known for their ability to reduce inflammation and lower triglycerides in adults. Therefore, consuming omega-3 can benefit not only a baby’s physical development but a mother’s body in unique ways. For more reading, omega-3 advocate and non-profit organization GOED created an infographic showing the benefits of omega-3’s for pregnant mothers and their children. March of Dimes recommends at least 200 mg of DHA daily when pregnant. Fish, like salmon, is a great way to meet this need. It is recommended to eat around eight to twelve ounces a week of fish. Omega-3 fish oils are also a popular and convenient way to meet this daily need. Cooper Complete Advanced Omega-3 Fish Oil contains 480mg of DHA and 720mg of EPA. This makes it a great option for a mother’s inflammation relief while providing proper building blocks for a developing baby. Vitamin D is a prenatal vitamin with many jobs. First, it helps a mother’s immune system stay active and run efficiently. Second, it helps deliver calcium to her baby for bone and teeth development. Vitamin D is most commonly absorbed by the skin from direct sunlight. However, many factors can limit vitamin D absorption such as time of year, skin color and amount of sunscreen. However, too much sunlight can also increase the signs of aging and increase the risk of skin cancer. Foods such as salmon, or fortified cereals also contain small amounts of vitamin D. Prenatal or multivitamins are a great way to get the recommended 50 mcg (2000 IU) of daily vitamin D recommended by Cooper Clinic and most health groups. For reference, Cooper Complete Original With Iron and Basic One With Iron contain 50 mcg (2000 IU) per serving to help compensate for the low bioavailability of vitamin D in most situations. Cooper Complete also offers vitamin D in 25 mcg (1000 IU) and 125 mcg (5000IU) D3 softgels for those trying to increase their levels. Iron is an important prenatal mineral for expecting mothers. Chiefly, iron is responsible for transporting oxygen throughout the body and to a mother’s child. Specifically to a baby, lower iron levels of mothers increase the risks of premature birth and a low-birthweight baby. For a mother low iron can lead to increased fatigue, anemia and infections. Pregnant mothers should look to consume around 27mg of iron daily through food and prenatal vitamins. Meats, vegetables, beans, and dried fruits are all good sources of iron for the body. 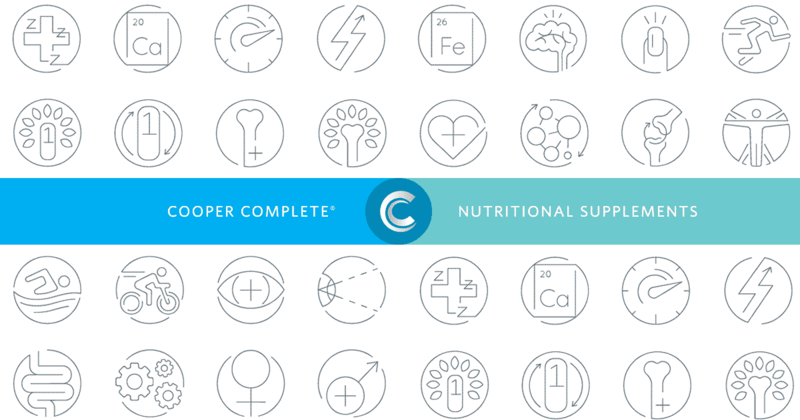 Cooper Complete Basic One Multivitamin With Iron and Original Multivitamin With Iron both contain 18 mg of iron to combine with iron consumed daily to meet these needs. Calcium is the best prenatal mineral for healthy bones and teeth. Partnering with vitamin D, calcium also helps develop heart muscles and the nervous system. Calcium occurs naturally in dairy products such as milk, cheese, and yogurts. Dark leafy vegetables like spinach and kale are great sources of calcium. 1000mg of calcium is the recommended amount per day for a pregnant woman. This is because babies will take calcium from their mother’s bones if there is not enough in her diet. Health conditions like osteoporosis are more likely to arise when this happens. Calcium supplements can help make up any diet shortfalls of Calcium. For instance, Cooper Complete Calcium Citrate Supplement taken daily adds 500mg to your diet on top of what is naturally consumed. Always consult your physician about choosing the best prenatal multivitamin. Multivitamins are not intended to replace nutrition and are intended to be taken with a healthy diet.